You’ve probably watched at least one online video of a cat wrestling with a plastic bag, or a teenager wiping out on his skateboard. Whether you watched the video through an email link or right on your Facebook page, nearly all of these clips are hosted on the Internet’s biggest video sharing site: YouTube. While it may be easy to dismiss YouTube as a purveyor of cute zoo animal posts and human video fails, the truth is that YouTube is a thriving social media giant—and if your business doesn’t have its own video channel, you could be losing out on thousands of new leads every week. All YouTube accounts need to be directly tied to a Google+ account. 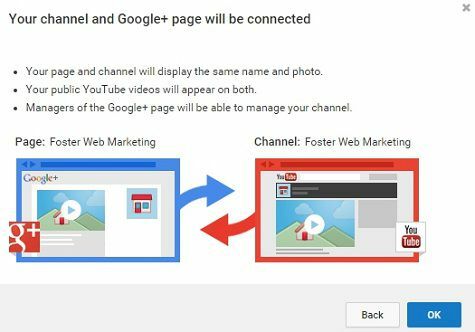 If you do not have a Google account for your business, you can follow the steps below, or you can create a YouTube account first and Google will automatically create a Google+ Page based on the information. Before you create your business page, you should make sure Google has all of the relevant information on your practice and knows that you are the administrator for the account. To do this, you will have to claim your business on Google+ Local. If you already have a Google+ Page for your business, sign in to Google under your business account. Once you have claimed your Google+ Local business listing, go to www.youtube.com. Make sure you are signed into the Google account you have your business listing claimed under (click on the circle in the top right corner). On your dropdown menu page, choose “Create Channel” for the business listing. If you have multiple business listings, choose your main office. Once you have done this, you will receive a message confirming that your business’ Google+ account and YouTube account will be linked. 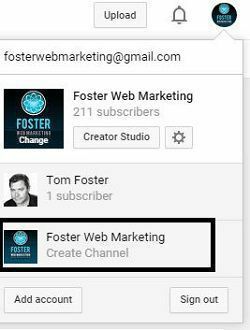 Once you have created a channel, you need to optimize it by adding art and links that will be displayed on your video site. Click the pencil icon button on the top right to add pictures, headers, and logos to your channel page, and click the “Edit links” option to add links to your homepage, blog, and social media pages. It’s at this point you can also add connections to your other social media accounts. As a last step, add a description to let your visitors know what your channel is about. If you like, you can add a subscription link at the bottom of the description, making it easy for your visitors to sign up for updates. Make a video. Just like the content on your website, your videos should be concise, cogent, and helpful. A good idea for your first video is to create a trailer for your channel. A one- or two-minute video that provides an overview of your services, products, staff, and specialists will let your visitors know at a glance what to expect from you. Integrate! Many people use YouTube as their primary search engine, so this page may be the first look at your business a visitor has ever had. Make it easy for him or her to continue interacting with you by adding links to your newsletters, Twitter posts, local news interviews, and other online media. Engage and encourage. YouTube is no different from other social media platforms: it will have visitors, followers, fans—and detractors. You should have a dedicated staff member to engage with your audience, foster relationships with potential customers, and handle any negative interactions that appear in your feed. If you’re not sure how to optimize your social media accounts, our team has put together a simple booklet to keep your online message on track. Download a free copy of our social media how-to guide or call us today at 866-460-3724 to have us build your strategy from the ground up.